Aqualate Mere falls within Natural Character Area 61, Shropshire, Cheshire and Staffordshire Plain including the Meres and Mosses. Restore, manage and protect from diffuse pollution the rivers, streams, lakes, ponds and wetland habitats (including flood plain grazing marsh and wet woodland) to benefit water availability, water quality, landscape character, biodiversity and climate regulation. Protect the landscape of the plain incorporating well-maintained hedgerows, ponds and lowland grassland margins within agricultural systems, to secure resource protection and maintain productivity, while reducing fragmentation of semi-natural habitats to benefit landscape character, sense of place, water quality and biodiversity. 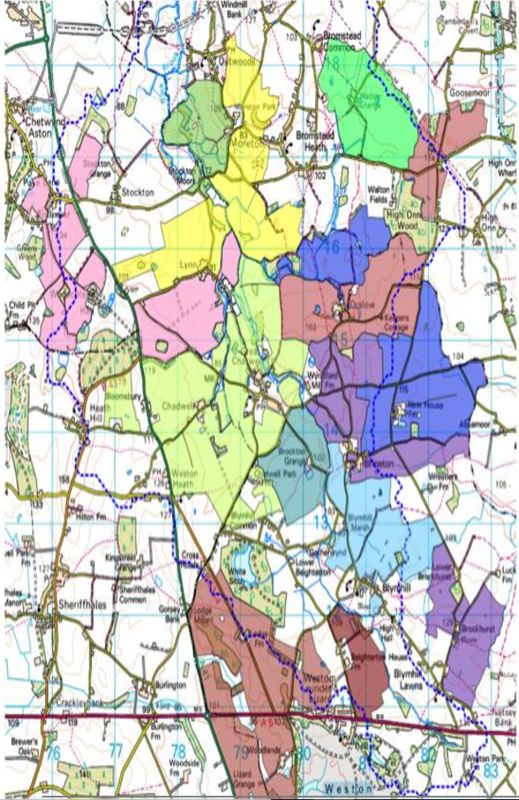 The Countryside Stewardship statement of priorities for the Meres and Mosses identifies SSSIs with eligible features, such as Aqualate Mere, as a priority for the provision of options to reduce diffuse water pollution impacts. The River Tern catchment, which Aqualate Mere feeds into, is also identified as a priority for reducing diffuse pollution from nitrate, phosphate, sediment and pesticides. This group will provide options that help improve water quality by controlling the pesticides. Providing multiple benefits from creating low-intensity grassland and wetland habitats that can benefit carbon storage, water quality, biodiversity, drinking water resources, landscape character and historic features, particularly in situations where this will help to restore the ecology of meres and mosses. Members of the group already provide this sort of habitat, under Higher Level Stewardship.